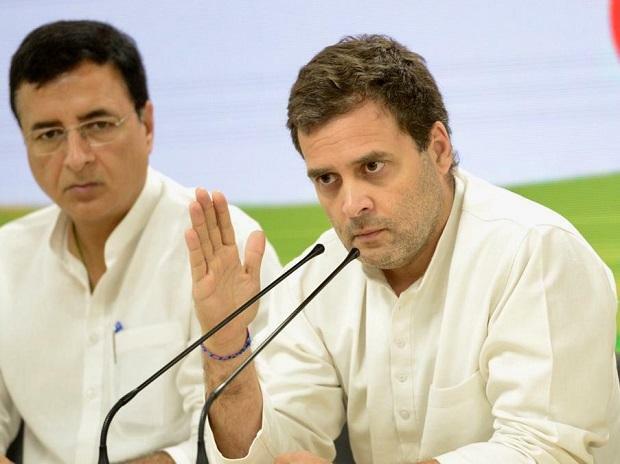 Congress president Rahul Gandhi on Wednesday said a key promise of his party’s manifesto, to be unveiled in the coming days, would relate to helping the MSME sector. He said a Congress government at the Centre would allow any person to start a business with nearly no government permission required for three years. Earlier this month, the Congress government in Rajasthan notified an ordinance to facilitate the MSME (micro, small and medium enterprises) sector in starting new projects. It notified the facilitation of establishment and operation ordinance to enable businesspersons to set up factories by filling up a self-declaration form. Other necessary approvals would need to be sought from the government within six months of the expiry of the three-year period. For its manifesto drafting exercise, the Congress reached out to several MSME businesspersons who complained of having suffered because of the double whammy of demonetisation and goods and services tax (GST). “Our MSMEs need this healing touch after demonetisation & GST. This will spur job creation and unleash animal spirits,” Gowda, who is a Rajya Sabha member, said. Gehlot said this would save them from “hardship of legal and administrative scrutiny of government departments”. He said simplifying the process of establishing new businesses would save time, efforts and resources of entrepreneurs. He hoped that the step would attract more investment in Rajasthan. Rajasthan’s Bureau of Investment Promotion (BIP) is to as a nodal agency at the state level and the district industries centres at the district level, respectively. Speaking at his party’s OBC convention here on Wednesday, the Congress president said Prime Minister Narendra Modi, during his address to the nation, betrayed his anxiety that "his time to go has come". Gandhi appealed to party workers to go to the people with the message of the Congress party’s minimum income guarantee scheme. The Congress has promised Rs 72,000 per year to 50 million of the country’s poorest families. "We won't be able to give Rs 15 lakh, but we won't lie. We will give Rs 3.6 lakh crore in the bank accounts of the 20 per cent of the poorest of the country over the next five years," he said. "We have written in our manifesto that any youth, be it from any category, doesn't need any permission for the first three years for starting a business. We want make in India, not made by Ambani...we want make in India, not made by Ambani in France," he said taking a swipe at the government's flagship Make in India scheme. "Lakhs of youth seek financial help to start a business, but fail to get it. We cannot accept this. We believe everyone should get 'NYAY'," he said.